Nowadays space is getting really interesting. Not just because all the new technology coming up, but because of the great things people are doing with it. And now, we are getting a planned hotel in space, called the Aurora Station. The Aurora Station is planned as a 35-by-14-foot module, or roughly the interior volume of a Gulfstream G550 private jet. The station would accommodate as many as four guests, plus the two crew. It is truly an impressive feat of engineering. 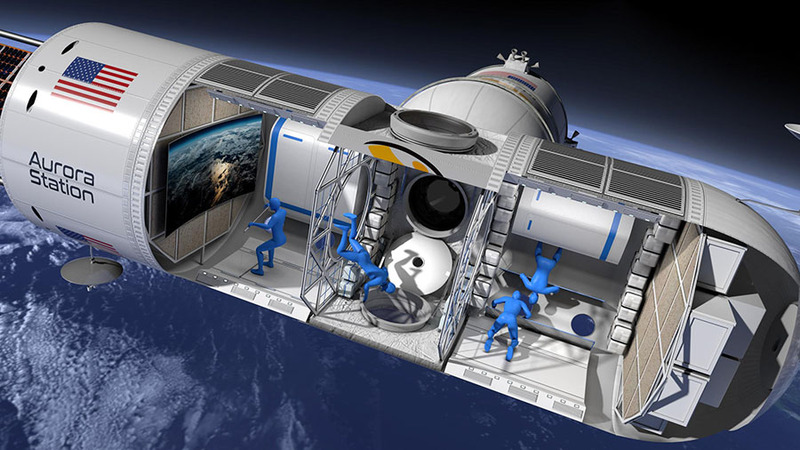 The Station, which is billed as the “first luxury hotel in space,” might suit you. It's patent computer Houston-based Orion Span hopes to launch the modular station in late 2021 and welcome its first guests the following year, with two crew members accompanying each excursion. The platform would orbit 200 miles above Earth, offering six guests 384 sunrises and sunsets as they race around the planet for 12 days at incredibly high speeds. As you might expect though costs associated with space are constantly reducing, the trip would still be very expensive. The 12-day stay starts at $9.5 million per person, or about $791,666 a night. Aurora Station is planned as a 35-by-14-foot module, or roughly the interior volume of a Gulfstream G550 private jet, according to Bunger. The station would accommodate as many as four guests, plus the two crew. The company requires a refundable $80,000 deposit. Just to make things safe, Prior to launch Aurora Station travelers would have three months of training, beginning with online courses to understand “basic spaceflight, orbital mechanics, and pressurized environments in space.” Hotel guests will also have required exercises on spacecraft systems and contingency training at the company’s Houston facility.